Since the Great Recession descended upon us in 2008 and left the 99 percent in some state of financial crisis, business schools have quickly evolved to accommodate an increasingly dark and chaotic real estate landscape. 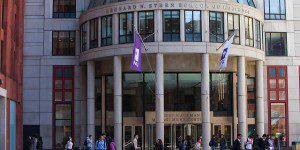 The result has been a growing number of quality New York Real Estate MBAs on offer. Dean Glenn R. Shafer of Rutgers, which offers one of the nation’s more high-profile real estate programs, offers an explanation about the new unmet demand for MBAs well-versed in real estate: “New demands for financial sophistication in real estate, along with expectations for sustainability and increasing regulation, have created an unmet demand in New Jersey for personnel trained in finance, accounting, and supply-chain management in the field of real estate,” he said in a statement. 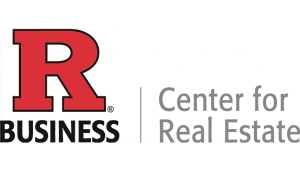 West Orange, NJ, real estate investor Paul Profeta, who contributed $1.5 million to an endowed chair at Rutgers, believes the “totally unregulated” real estate industry is one of the few business fields that offers relatively uncharted territory for b-school graduates. “It’s really a wild and woolly field. You live by your wits. That’s why it’s exciting to young professionals,” he told Bloomberg Businessweek. Columbia’s Paul Milstein Center for Real Estate MBA states that it provides students with “solid real estate fundamentals, critical thinking, complex problem-solving and both written and oral communication skills” by emphasizing “an interdisciplinary blend of theory and practice.” Columbia’s program is unique in its integration of 65 (and counting) CaseWorks propriety real estate cases into the MBA curriculum. 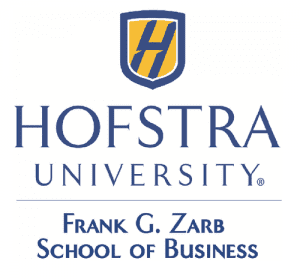 The mission of the Zicklin School of Business at CUNY Baruch’s William Newman Department of Real Estate is to foster “cutting-edge real estate knowledge and produce future leaders in real estate” by recruiting the most “talented and motivated students who are interested in understanding the economic and behavioral aspects of real estate markets.” Zicklin prepares students for careers in real estate by preparing them for the business world. This interdisciplinary approach “helps students understand the important concepts and issues for making crucial business decisions and creating effective public policies,” according to the school.